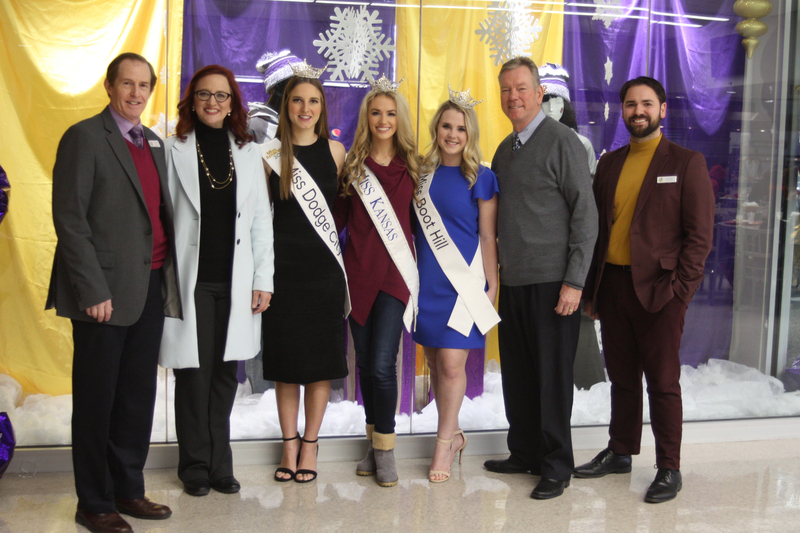 Miss Kansas Hannah Klaassen was on the Dodge City Community College campus Friday to meet college staff and thank the school and community for their continued support of the Miss Dodge City and Miss Kansas organization. The college offers in-kind scholarships for winners of the Miss Dodge City/Cowboy Capital/Boot Hill Scholarship Competition each year. 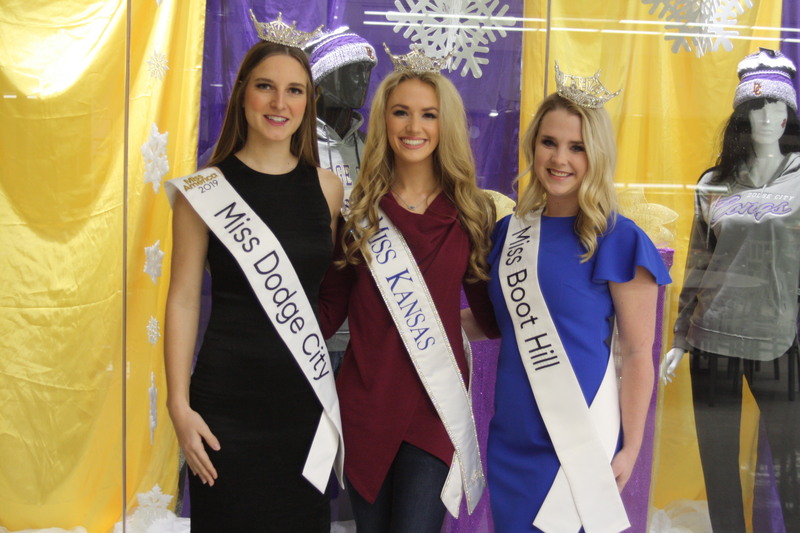 Klaassen was joined by Miss Dodge City Paige Harding and Miss Boot Hill Emily Rugg, who were on hand to express their gratitude as well as discuss their social platforms. Klaassen has promoted mental health awareness as Miss Kansas. She has been visiting elementary schools across the state and recently began an initiative aimed at putting suicide and crisis hotline numbers on the back of every school lunch card. Harding attends KU and her platform is ABCs of Alzheimer’s Disease, which afflicted her grandmother for nearly 10 years. She just founded an organization on campus called Purple Pals, where student volunteers participate in social activities with Alzheimer’s patients for a few hours each week.